Miners in the old days knew very well what they were doing when they took small birds down into the mines with them. Due to adaptations to flight that allow birds to extract much more oxygen from the air than mammals can they also absorb gaseous toxins much more efficiently too. The “canary in the coal mine” would succumb to any noxious gases much sooner than the miners, allowing them to escape before they too were overcome. Polytetraflouroethylene (PTFE): these are very common causes of respiratory distress and sudden death in pet birds. These compounds are released when heating most non-stick cookware, irons and ironing board covers, and when a self cleaning oven is on the “clean” cycle. Fans above the stove are usually insufficient to disperse the fumes. Birds should be kept well away from the kitchen when these items are in use. Better yet to avoid Teflon pans if you have a bird in the home. When you clean the oven move the bird to a well ventilated room as far away from the kitchen as possible. Smoke Inhalation: Smoke from household or cooking fires is very toxic to birds. Birds are also very sensitive to Carbon Monoxide poisoning – it is a good idea to have a CO detector in your home for you and your bird. Tobacco smoke exposure can cause chronic respiratory problems, increases succeptibility to infection and cancer. Aerosols: It is generally advisable to avoid exposure to any aeresolized air fresheners or essential oils. Lead: Ingestion of lead leads to a number of health problems in birds including severe digestive upset, neurological problems and death. Lead is found in the galvanized wire of many older style bird cages, the foil wrappers around wine bottle tops, weights in many toys or drape weights, lead based paints, stained glass solder, linoleum and costume jewellery. Zinc: Symptoms are very similar to lead poisoning. Zinc is found in galvanized wire, staples, fertilizers, pennies, and many shampoos and creams. Birds are very sensitive to insecticides and pesticides. If your house needs to be fumigated for insects the birds need to be removed from the home for at least a week to let the fumes dissipate. If you use DEET containing mosquito sprays or lotions on yourself wash your hands well before handling your bird and never spray your bird with these products. Many birds will quite happily steal pills or vitamins that are within their reach due to the bright colour of many medication – it looks like a berry to them. Due to their small size pretty much anything that is the right dose for a human of any medication or vitamin will be a massive overdose for a bird. Cleaning Agents Birds are very sensitive to most household cleaning agents. Use dish soap and water to clean the cage/perches and toys or a diluted vinegar solution. Wipe well with warm water. If using a floor cleaner remove the bird from the room until the floor is dry. Pine oils, phenols and ammonia compounds are very irritating to birds. Cooking oils Ingestion of excess amounts of oil or a bird who has had its feathers soaked with oil can be a serious problem. 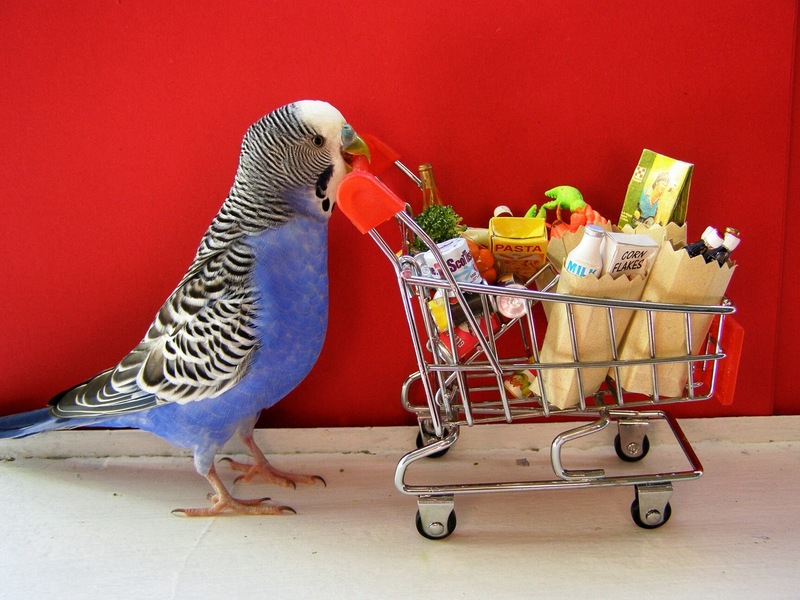 There are of course many other things in our homes that may cause problems in pet birds. If you are concerned that your bird may have been exposed to any of these toxins please call your veterinarian. It is also highly recommended that you check with your veterinarian prior to using any medication or supplement on your bird even if it says it is “all natural”.